The good news is that the multimedia capabilities built into your phone make your Samsung Galaxy S 5 the ideal platform for having video chats. Video-chatting, long predicted as the next great thing by Ma Bell since the 1960s, is finally coming on strong. 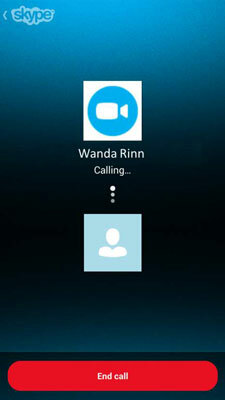 Let’s explore how to use Skype for Android. Here is the description page for this app in panorama format. You may have heard talk about Skype. 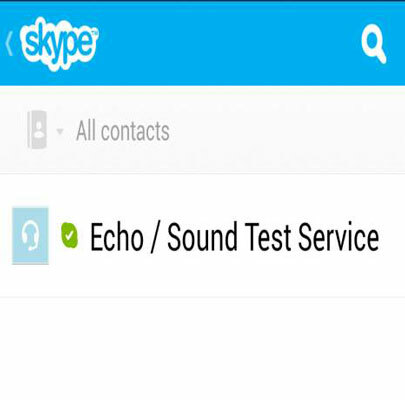 It was originally an Internet telephony application that allowed you to make call from your PC to another PC that also had Skype. Over the years, this application has evolved in terms of technology, the platforms on which it operates, and its future. At first, Skype was a convenient way to get around traditional telephone charges, especially for long distance. This was particularly economical when calling internationally; in fact, the application traces its roots to a team of developers from Estonia. Also, the PC was its original platform. Now it happily runs on many smartphone platforms, including Android. After you create an account, you’re taken to the Skype Home Screen. The first step in using video chat is to find someone to chat with. This involves finding a contact who also has Skype. When you tap the Contact icon, you’re taken to the Contact Page. 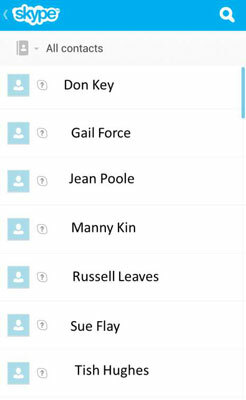 Add Contacts: You can search Skype’s directory for contacts who already have a Skype account. Save Number: If you know someone with an account, you can manually add that person’s number. Search Address Book: This is easiest option. 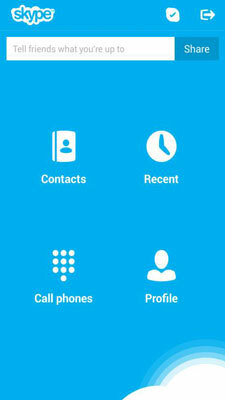 Skype compares your contact book to the database of Skype users to find all matches. This process of searching the Skype database will take a while, so you may want to set up your phone on a charger and let it run overnight. When you come back, your friends will be ready to video-chat with you. When you’re done, you have a fully populated Contacts Page. This is the easy part. 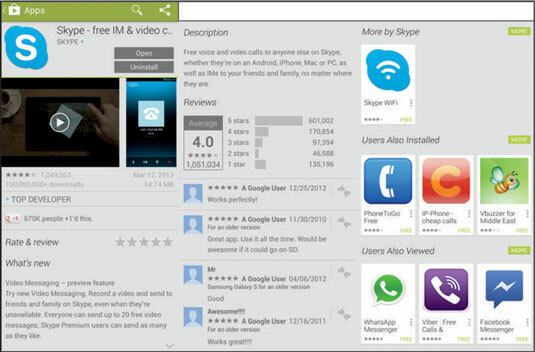 If you can dial a phone, you can dial a video chat. 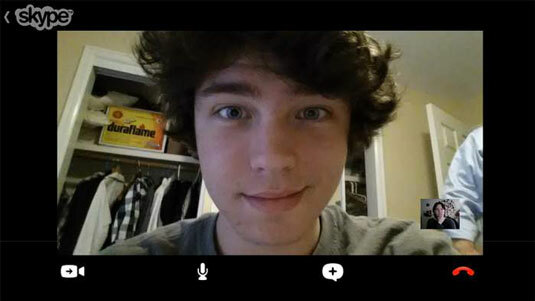 Tap the name of the person with whom you want to video chat. This will bring up a list of connection options. Tap the video Call option. This brings up the dialing screen. When your friend answers, you’re connected.